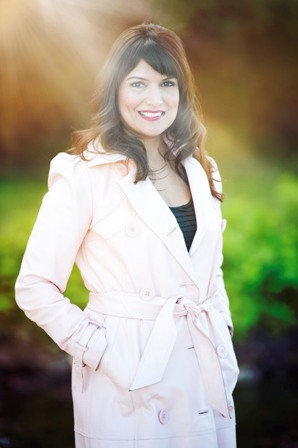 Sonora Jha was born in India, where she had a successful career as a journalist in Mumbai and Bangalore before moving to Singapore and then the United States to earn a Ph.D. in Political Communication. She is now a professor of journalism and the Chair of the Department of Communication at Seattle University. 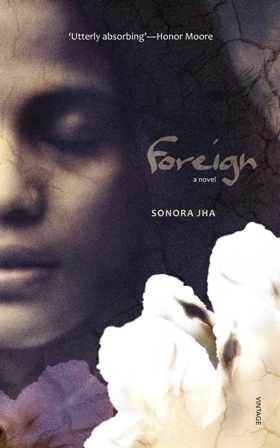 Her first novel, Foreign, has sprung from her work as a journalist, an academic, and a creative writer. She lives in Seattle. NAW- Tell us about your book, ‘Foreign.’ How did you get the idea for it? What is it about? How did you select the title? The idea grew on me. FOREIGN is a work of literary fiction but is set in the true story of suicides of farmers in India (more than 290,000 farmers have killed themselves in India in recent years). The book also tells two love stories as it throws characters together from Seattle and Vidarbha and puts them in a quest for life and death, home and belonging. It started when I was researching a paper I was working on about why we didn’t see a lot of coverage of this huge story of farmers’ suicides in the international press. I went to Vidarbha in India to speak with farmers, and I met a lot of widows. I began to realize that in order to get this story in more than just the hands of the usual audience (academics, NGOs, etc. ), I would need to write for a general audience. So, the idea grew, to write a novel. The title came to me when I thought of the foreign-ness of people and ideas and especially of dangerous, genetically-modified foreign seeds. NAW- Did you carry out any research for the book? I read up all I could find on the issue before I left for Vidarbha. I read the journalism of P. Sainath, Jaideep Hardikar and Dionne Bunsha and I interviewed them as well as other grassroots journalists who had covered this story. I read academic papers and books. I then did long interviews with activists and then farmers and their families in Vidarbha. I kept reading even after that, while I worked on the book. If left to myself, there’s nothing I like to do more than stare out of the window at the lake above which I live in Seattle. But, my day is made up of these things – I’m a professor of journalism at Seattle University (I was formerly a journalist in India and in Singapore). I’m a mother to a teenaged son. I love to read and to spend time with the people I love, watch films, and go out rowing on the lake. I like both, with a slight preference for paper books. But, when I travel, I am so, so, grateful for my ebook reader. Zadie Smith, J. M. Coetzee, Vikram Seth, David Foster Wallace, and George Elliot (Mary Ann Evans). Also, all my friends who are writers are my favorite writers because I know their triumphs and struggles up close and they inspire me. I write in fits and starts because that’s what my life allows for, given my full-time job and, until recently, my full-time parenting responsibilities. But what I like is to write in one go. I do my best work when I make writing dates with friends (we meet up in a coffee shop and then sit down and write for at least two hours). My favorite thing is to write at writing retreats, or as a writer in residence. I do really well when I have deadlines. My best writing takes place when I am locked up, off the grid, writing for hours, forgetting to eat, and I look up and the sun’s position in the sky has changed dramatically. That kind of writing day satisfies my soul and makes me a finer human being. I am writing my second book, a memoir about my son leaving my home to go away to college and the questions it brings up for me – did I teach him to love, even though I raised him away from his family and country? Have I raised a good man to send out into the world? The memoir recounts our trip to India to reconnect and heal family ties while also being a sharp indictment of the resurgence of patriarchy in contemporary India.